Wizzer means fast, exciting, hilarious, challenging fun for all. This adrenaline-pumping interactive ride has it all. Buckle up the faster the participates pump the speed control arm the faster the Wizzer goes around creating a strong gravity force on each participate pushing them back into their seats.. 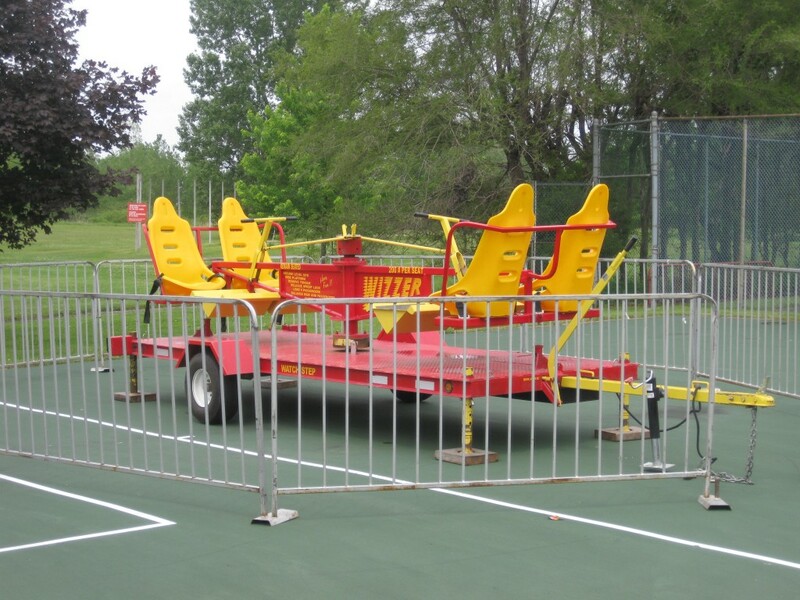 The Wizzer is a trailer mount ride with no electric motors just powered by four hand pumping speed control bars. 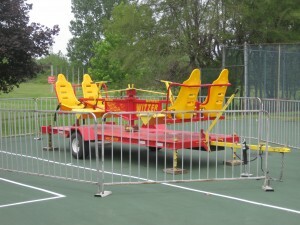 The ride seats four people at one time and is equipped with four high back bucket seats with safety harnesses, bucket foot rest protection, a speed control pumping bar and for extra safety all speed control arms can be override by the operator at anytime. This ride is the ultimate ride of all.